and discipline, as these women compete with each other for limited resources and authority. Dr. Tatiana Rabinovich is currently serving as a postdoctoral scholar at the North Carolina State University in Raleigh and has taught a wide range of classes, including Introduction to International Studies, Minorities in the Middle East, Gender and Contemporary Society, Introduction to Arab Spring, Political Islam, among other courses. Native Central American Indians have been living in Costa Rica for over 10,000 years, in a tropical climate. A new volcano, named Arenal, was born 7,000 years ago, with a huge explosive eruption that forced survivors to evacuate the area. Dozens of other eruptions have occurred, with the latest only 50 years ago. Archaeologists and volcanologists are exploring how ancient people living in the shadow of Arenal have adapted to those disasters. Researchers have discovered surprising sophistication by the villagers, which will be shared in the presentation. Dr. 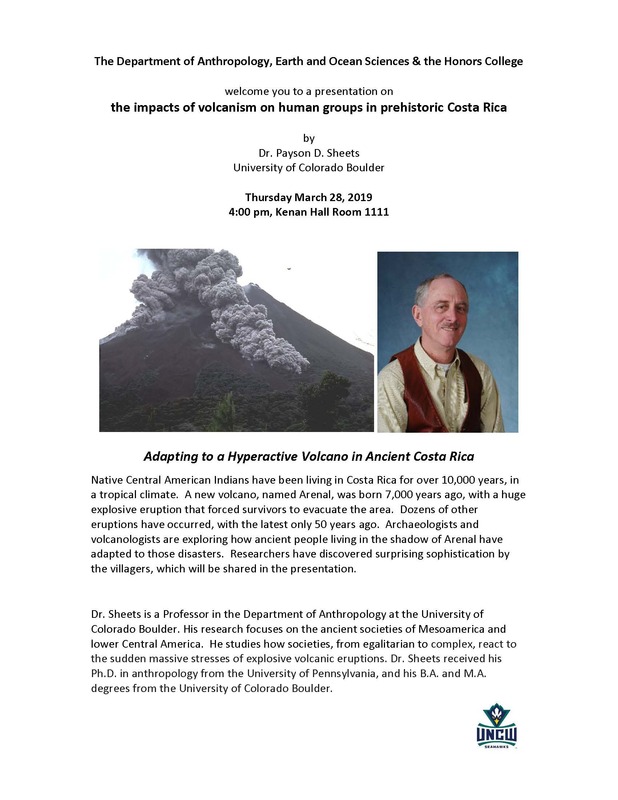 Sheets is a Professor in the Department of Anthropology at the University of Colorado Boulder. His research focuses on the ancient societies of Mesoamerica and lower Central America. He studies how societies, from egalitarian to complex, react to the sudden massive stresses of explosive volcanic eruptions. Dr. Sheets received his Ph.D. in anthropology from the University of Pennsylvania, and his B.A. and M.A. degrees from the University of Colorado Boulder. Anthropology Day is a celebration of variation in the human experience from a cultural, biological, archaeological, and linguistic perspective. This Anthropology Day we welcome you to join us for a gallery celebration for the collection "Endless Forms Most Beautiful". This collection, combines material from the UNCW Museum of World Cultures with UNCW student artwork from Anthropology, studio arts, art history, Biology and Marine Biology, theater, and more. Come meet the artists and see how they have celebrated variation. "Endless Forms Most Beautiful" is part of the UNCW Darwin Day 2019 celebration of Science of Curiosity. This display was curated by Anthropologists Drs. Carolyn Robinson and Michaela Howells, and Outreach and Engagement Librarian Christopher Robinson with thanks to Randall Library and the UNCW Art & Art History Department. All are welcome, please come eat, drink, and celebrate with us! Darwin Day is an international celebration of the principles of intellectual bravery, perpetual curiosity, scientific thinking, and the hunger for answers through science. Scientist and non-scientists alike are welcome to celebrate with us. 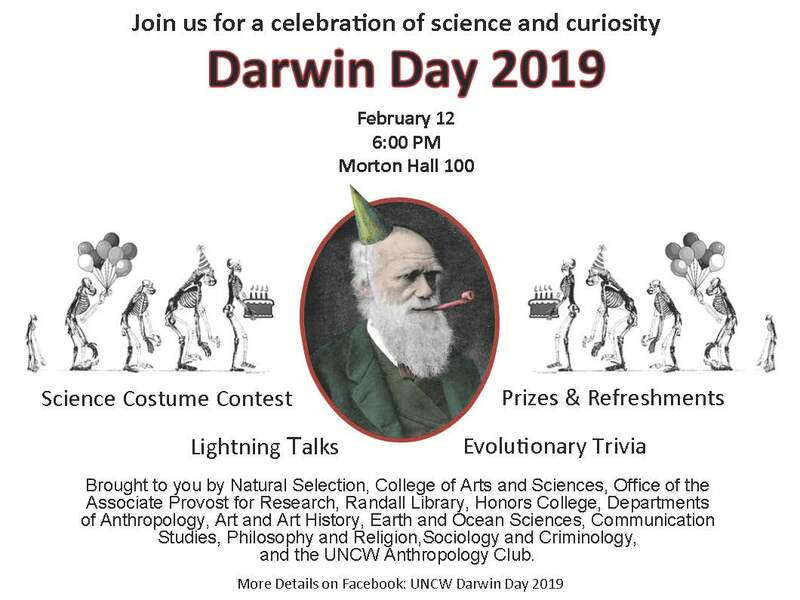 Join us for lightning talks from departments across UNCW, evolutionary trivia, science costume contest, prizes and refreshments, photo booth, and a visit from Mr. and Mrs. Darwin. Are you thinking about graduate school in anthropology? 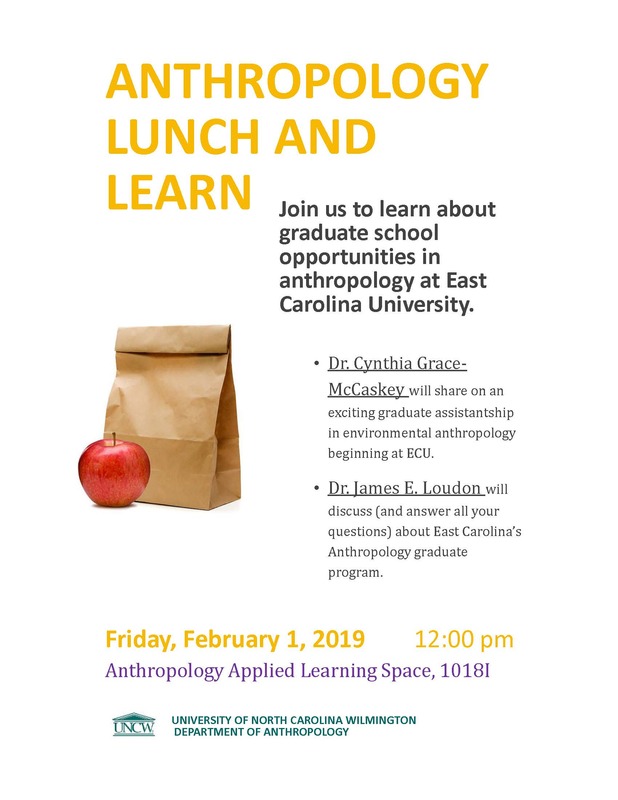 Dr. Cynthia Grace McCaskey and Dr. James Loudon will be joining our department to share details about East Carolina University's graduate program. Specializations include medical anthropology, primatology, archaeology, skeletal biology, and coastal resource management. All are welcome, regardless of when you plan to graduate. Bring your lunch and questions! 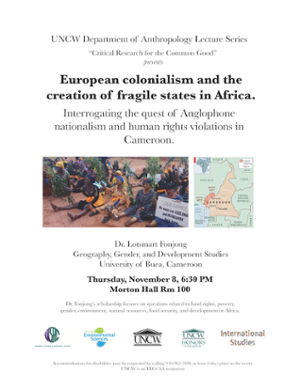 Dr. Lotsmart Fonjong, Professor of Geography, Gender, and Development Studies at the University of Buea, Cameroon, visits Wilmington to present on the quest of Anglophone nationalism and human rights violations in Cameroon. His research focuses on questions related to land rights, poverty, gender, environment, natural resources, food security, and development in Africa. Learn about critical anthropological research for the common good! Dr. Angela Stuesse, a cultural anthropologist and faculty member at the University of North Carolina at Chapel Hill, will be giving a presentation on the evening of Monday, April 16 as part of the Anthropology Department's 2018 Speaker Series. 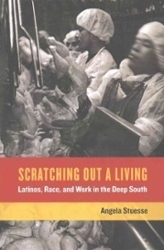 Dr. Stuesse will be discussing her recent acclaimed publication, "Scratching Out A Living: Latinos, Race, and Work in the Deep South" (University of California Press 2016). The book deals with themes of immigration, immigration law enforcement, labor organization, safety and health risks at a poultry processing plant in Mississippi. The discussion is open to UNCW students, faculty and any members of the public who wish to attend. The event will include a presentation followed by an open Q&A. Learn the basics of the Maya calendar, and discover the role that Venus played in daily and ritual life for prehispanic Maya cultures! Gain hands-on experience deciphering key hieroglyphs by looking at the Dresden Venus table! 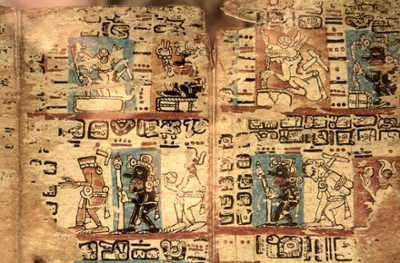 Hieroglyphic texts painted in Maya screenfold books bring to life the rituals, narratives, and prognostications that guided the lives of Maya people over the millennium from the sixth to sixteenth centuries. Yucatec Maya documents from later centuries highlight the struggles faced following the arrival of the Spanish in the early sixteenth century. Through a program coordinated by Dr. Vail of UNC-Chapel Hill, twenty-five students of Maya descent from Morganton, North Carolina and Yucatán, Mexico engaged in archival research to study texts written by Yucatec speakers both before and after the Spanish Conquest. The two groups created traveling exhibits to share what they learned from their research from a factual perspective and in terms of how the materials they consulted led them to a new appreciation of their communal history and heritage. Additionally, visits to each other’s home states provided an opportunity for them to experience life for Maya people in different places and circumstances. In this presentation, the voices of Maya scribes and diviners from centuries past and the youth of today come together to enrich our understanding of the many different facets of Maya identity over time. The project idea is to track pastoral nomadic migration patterns in order to better understand how pastoral nomadism and cropping can be combined into an agricultural system. 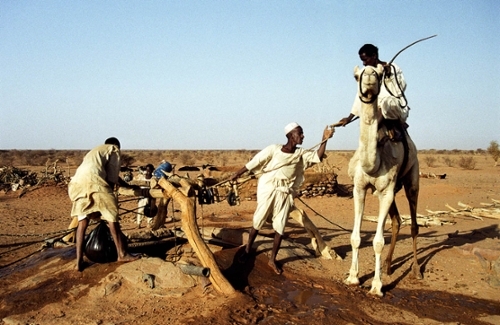 The project fits into a long-term research trajectory and combines basic and applied research that could substantially impact the economy of the Sudan. The dilemma: research needs to be done in an area that vacillates between peace and war zones. What is an anthropologist to do when political strife is an obstacle to research? The UNCW Anthropology Club will be celebrating the beginning of the Spring Semester by hosting Anthropology Day in Osprey Hall on February 14th. The event will take place in the OS Lobby from 11:30am to 1:30am and will feature a book exchange, pizza provided by the department and games! All students/faculty are welcome to attend. belong to the Primate mammalian order. Like all animals, they are faced with the problems of how to survive, breed and rear offspring. The mating behavior of the apes is particularly complex and fascinating. Chimpanzee (Pan troglodytes) societies are typically characterized as physically aggressive, male-bonded and male-dominated. Their close relatives, the bonobos (Pan paniscus), differ in fascinating and significant ways. 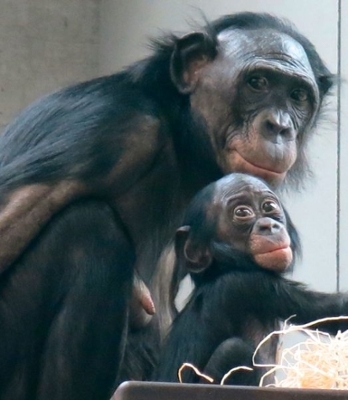 For instance, female bonobos bond with one another, form coalitions, and dominate males. Some researchers are reluctant to consider, let alone acknowledge, female dominance in bonobos. Both species are equally "man's" closest relative. How do these findings change our views of our evolution and ourselves? This talk explores and compares the sexual and social behavior our closest living relatives: chimpanzees and bonobos. Dr. Amy Parish is an interdisciplinary scholar who teaches at University of Southern California. She received her undergraduate training at University of Michigan and her graduate school education at University of California-Davis and then taught at University College London. The Leakey Foundation, the Volkswagen Foundation, the Center for Feminist Research, and Sigma Xi have funded her work. She is currently writing a book and is affiliated faculty in the Psychology Department at Georgetown University; an Honorary Research Associate at University College London; and a lecturer in the Public Health program at USC. Dr. Parish has studied the world’s captive population of bonobos for the last twenty-five years. This talk is made possible by the College of Arts and Sciences, and is co-sponsored by the Psychology Department, the Women's Studies & Resource Center, and the Honors College. All are welcome! What is a bonobo? Check this link for more information! Join us for a chat about the Maya Use of Mercury, by Dr. Elizabeth Penton, who teaches both Anthropology and Art History courses at UNCW! Dr. Penton's original research was in Paleolithic European rock art, but she has recently been developing a new area of research in the Maya and Mercury use. Coffee and light refreshments will be served! Please join the UNCW Department of Anthropology for this year's first installment of UNCW's Dean's Lecture Series in the Humanities. "What does it mean to be human? 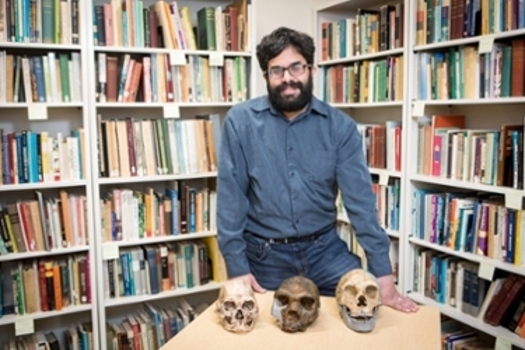 How paleoanthropology can help us understand our place in nature". Dr. Marc Kissel from Appalachian State's Department of Anthropology will bring together human symbolic expression throughout the ages. In this presentation he will utilize breakthroughs in human evolution, theology, philosophy, and genetics to help us answer one of the core questions of our existence. We welcome UNCW students and faculty in all departments, as well as the broader Wilmington community. Dr. Kissel’s work exemplifies the bridge between the humanities and STEM to help us gain a deeper understanding of what it means to be human.